For the month of March, Employee of the Month was given to a very shy (but not really) Filomena Beirne. 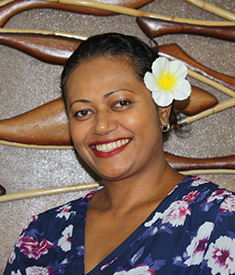 Fiji born Filomena, known to us as Filo, joined Pacific Homecare in May 2018 just shy of a year ago as a Payroll/Admin support person. 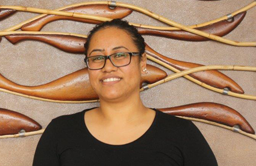 Full-time mother, and student at the Auckland University of Technology pursuing a Business Degree, Filo initially joined us working part-time with the lead Payroll Specialist at the time. 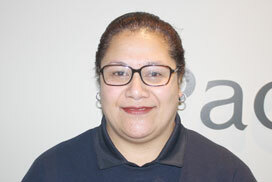 As it turns out, Payroll and Accounts was an untapped forte for Filo and she loved the experience so much that she joined us full-time and ready to take the new Accounts/Payroll Support person under her wing. In the short time she has been with us Filo has worked tirelessly to learn the ropes with the primary focus of a seamless payroll delivery. Filo’s bubbly personality is a great addition to our dynamic team in the office and we are happy to have her on-board. She has been selected as Employee of the Month for the hard work she has put in and the countless hours she has clocked up to ensure everything goes on without a glitch. Vinaka vaka levu Filo for your hard work, dedication, and commitment to Pacific Homecare and congratulations on this achievement.